Vivid Sydney is a festival of light, music and ideas. It runs for 23 days from 27 May – 18 June and transforms the city into an illuminated wonderland of large-scale illuminations, laser lightshows and 3D-mapped projections. Typically Monday, Tuesday or Wednesday are the quietest evenings with less of a crowd. This makes it hard for those with kids but you’ll be able to see everything quickly so bed times may not be too stretched on a school night. Typically when it rains the crowds dwindle. Of course, we don’t expect you to brave a torrential downpour but most of the time it can rain for a short while and then clear. You can wait for the rain to pass in one of the nearby cafes or restaurants and then be treated to a more vivid experience, where the rain has made everything shiny and bright. Typically the crowds start to diminish around 9pm when the families are heading home. 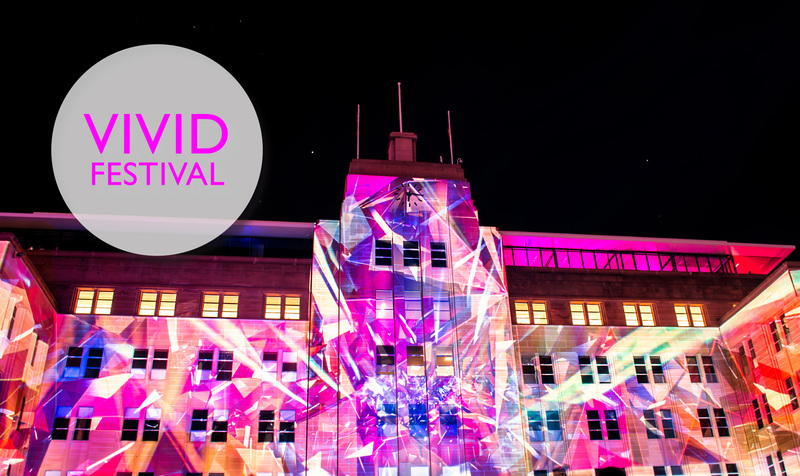 Vivid is on until 11pm at night so there are still 2 hours to enjoy. Visit http://www.vividsydney.com/ to find out more.